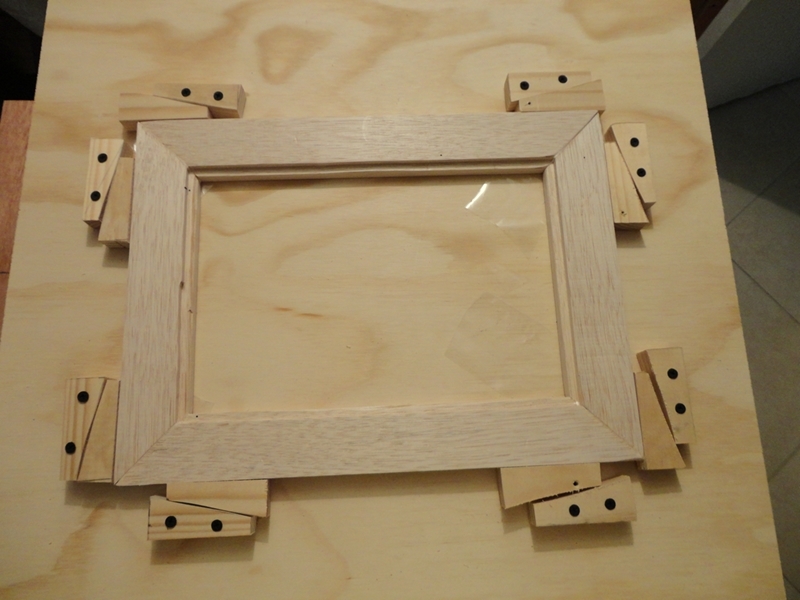 Yesterday, I decided to finish the photo frames, that I have been meaning to make for months! I had them prepared from old reclaimed mahogany, the first time, I started on these, I tried to cut the rebate with my router, it was my fault, instead of taking numerous passes, I tried to do it in one, and ripped the timber. 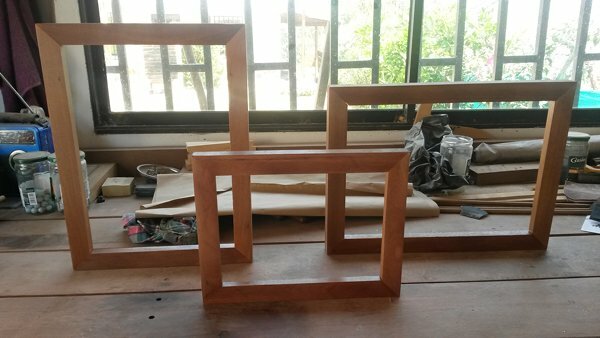 I then put them to one side on my bench, and every time I had a project, or was doing some other work, they got in the way, but for some reason, I just moved them, instead of putting them in the bin. Then a few weeks, back, I tried out a dado blade for the first time, and practised on these lengths of mahogany, it did a great job. 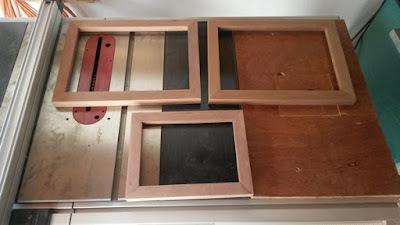 However, they found their way back to the corner of the bench, until yesterday, when I decided it was time to put this project to bed. I cut the mitres on the compound mitre saw, they went together like a dream...for a change, I used my picture framing jig, made a couple of years ago to glue and clamp them together. 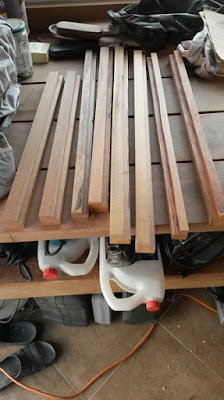 I love natural timber, so being mahogany, I did not stain them, just gave them a couple of coats of spray polyurethane. Tomorrow, I'll take them to be glazed. 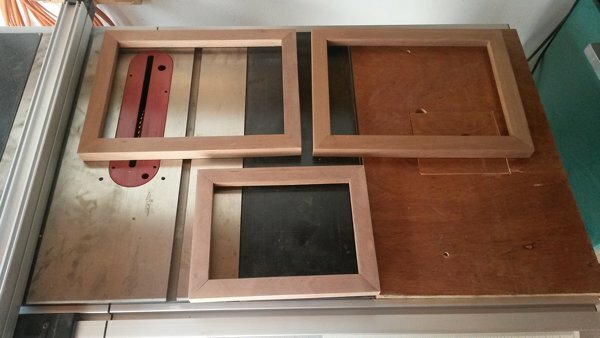 What is so special about these frames? you might well ask! the small one is for Marcela, give her her due, she has waited months for this, and said nothing! the two big ones are for my Boys! 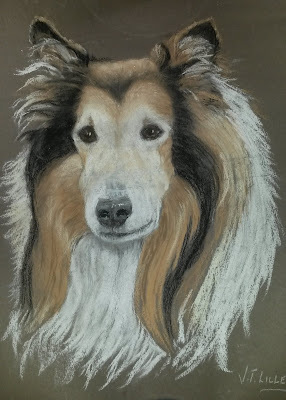 Pascha was a Rough Collie, and my first dog, of all the dogs in my life he is still the one I miss the most, and Bracken, the Golden Retriever, my second dog. 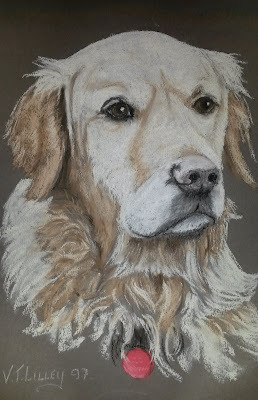 I had the chalk drawings done in 1997, by a Mrs Lilley from Northwich, Cheshire, UK. I tried to contact her later, to have another done of my Spanish dog, Luis, but I couldn't trace her. They are an excellent likeness, and hung in my office in Spain. When I came to move to Colombia, I rolled them both in a tube, and they came out here by freight cargo, and other than one unrolling to check on them, they have not seen the light of day, for over four years. There is a little damage, but that is to be expected, when they are done in chalk, however nothing serious, and I can't wait to hang them in view again.